Play Pharaoh’s Ring™ online for free now! 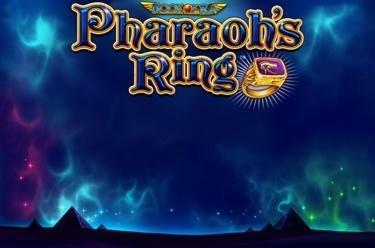 The ring of the Pharaohs was once a sign of power and wealth - in the slot Pharaoh’s Ring™ it is your key to a tidy profit! This mysterious slot in which you explore ancient pyramids looking for treasure is based on the popular classic Book of Ra™, but comes with new and exciting features for you! 5 reels and up to 20 win lines are waiting for you! The Extra Bet feature helps you to cash in on extra winnings! 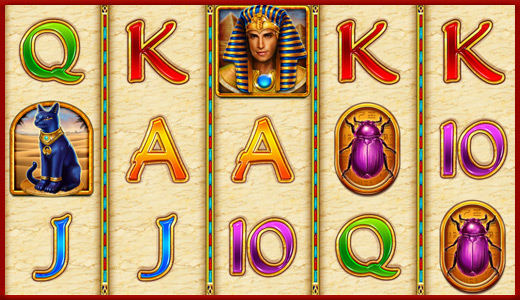 Land 5 matching symbols along a win line at Pharaoh’s Ring™ and big winnings will be yours! Pay attention to the win lines, which run from left to right along the reels. You win if several matching symbols land along the same winning line consecutively from left to right. Your combination of symbols has to start on the first reel and cannot be interrupted. 3 or more Scatter symbols (Book) in any position trigger 10 Free Games. The bonus games automatically use your bet from the last regular game. Initially, a bonus symbol is determined randomly. This pays on all active win lines as per Paytable, even if there is no winning combination attached. If ‘Extra Bet’ is activated the Ring symbol can appear on reels 2 and 4. The Ring of the Pharaohs substitutes all symbols including the Scatter symbol (Book).